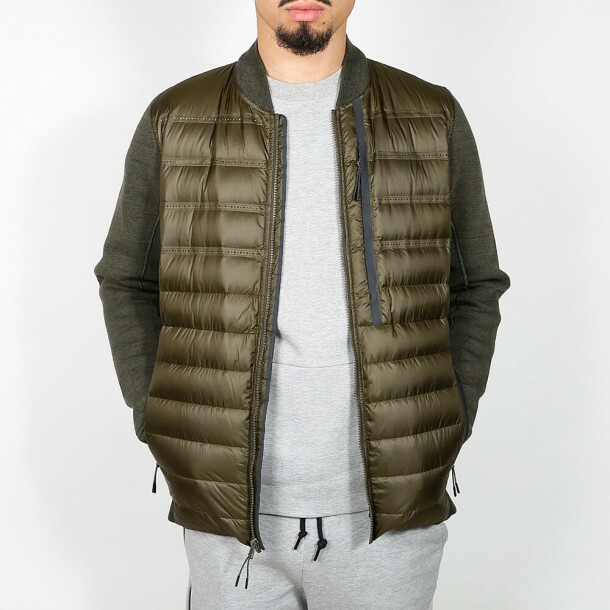 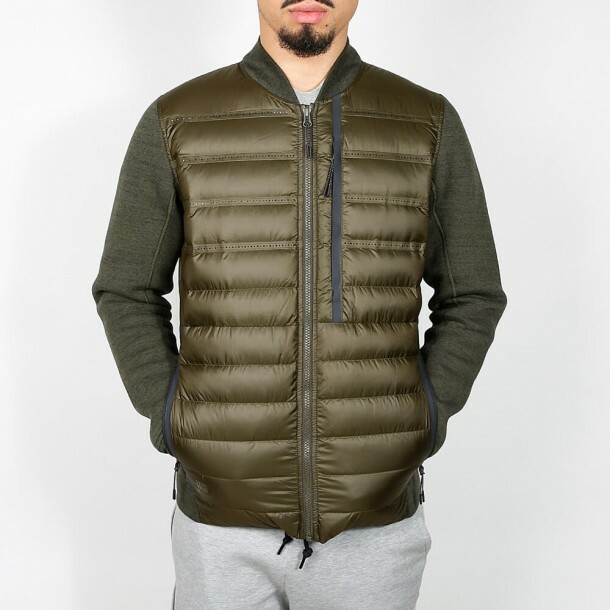 This jacket for men out of the Nike Tech Fleece Aeroloft Collection 2015 comes in a stylish bomber shape in Olive. 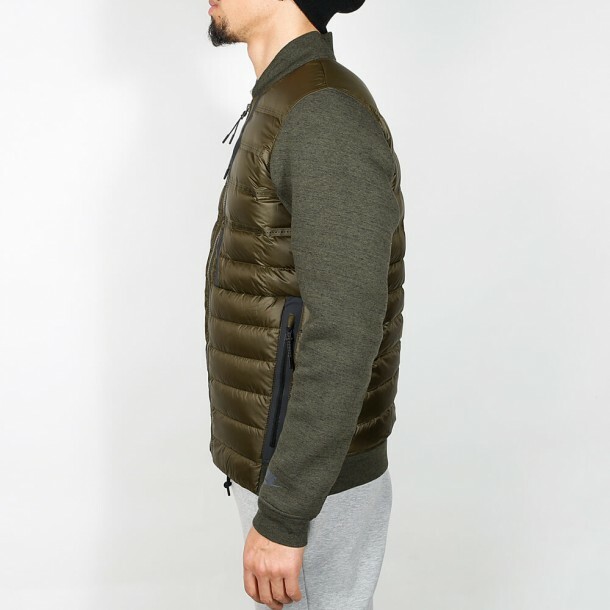 The soft Tech Fleece is not just light, but also heat-insulating. 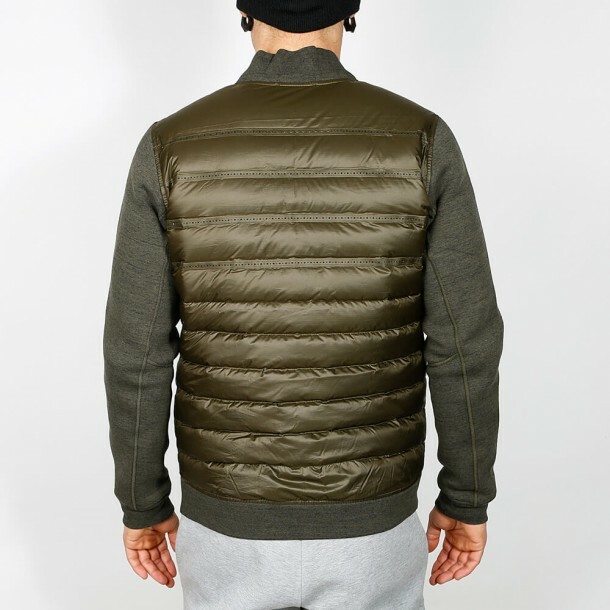 The Aeroloft technology provides the thermo-regulation of the three-coat material. The down coats at the back and at the front have got perforated chambers that ensure the necessary breathability.